Who would have ever thought then how quickly and radically our world would change over the last few weeks? I don't think any of us have been untouched by the flooding. Many of us experienced some level of trauma and suffering, either directly or indirectly. We have all been through a collective trauma, and while much beauty and coming together is emerging out of the flooding and devastation, and many of us feel the need to return to "normal", trauma also leaves a residual effect in our bodies and in our lives. What can I/we do to maneuver through the trauma and clear its effect in our lives and the debris from our bodies? How can I/we contribute something on a different level that offers an infusion of loving, positive, healing energy and actually creates beauty and joy in these crazy and unpredictable times of transition, upheaveal and change? Have you been asking these questions too? Of course, the answer I received is "Solvitur Ambulando - it is solved through walking!" I would, right?! Perhaps crazy thinking, but what if, though, there's be something to this? What if walking can contribute in a profoundly generous and effective, but different way? One doesn't have to pilgrimage, of course, to find God; but the earth needs it. We are born to move. Movement is akin to emotion, which is motion or movement, and movement is energy. Perfect emotion is love, and perfect energy is the life force. Such movement is a movement of love, bearing love like a holy breath to all parts of the body visited in this way. What if walking - sacred walking - invites us to leave footprints of light that will serve as a healing, uplifting and inspirational process for Boulder, the planet, and yes, also for ourselves? What if walking is a powerful way for us to move? As we move, we breathe, and when we breathe, we remember we are safe. Movement, such as walking, can help us to restore mobility, blood flow, oxygen, safety, and well-being. What if walking is a powerful way for us to come together as a community with one another, to contribute as a collective to our community and perhaps touch areas that are in need of love and attention? Imagine being part of a group of women who come together to walk a sacred walk, to cultivate love, beauty and harmony, and in turn, leave footprints of light wherever we walk. I have now shifted my original inspiration for Sacred Walks, Sacred Pilgrimage, A Feminine Journey to Come Home to Yourself to a sacred walk that will bring healing on a different level to our community. I invite you to join us for a Sacred Walk for Colorado. We will walk in beauty, harmony and flow to contribute to the restoration of our community on a different level. We will walk to heal our community, to release the trauma, and to heal. In turn, we will still walk home to ourselves! I have mapped out a route that will take us to seven local labyrinths located along the bike and foot paths throughout the city of Boulder. These labyrinths are our sacred destinations because they offer us an ever present invitation to pause and enter a sacred space, and to walk with an awareness of being in a different space. While some of the underpasses may still be closed, we will walk the paths as much as possible. I have also deliberately and consciously chosen to use the labyrinths as representations of the seven chakras, and have aligned them into a map of the chakra system. 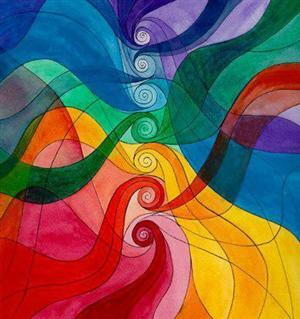 Labyrinths and chakras are a beautiful mirror and metaphor for each other, each a spiral in and of themselves. They also give us an opportunity to experience the energy and wisdom of them both in a profoundly intimate and tangible way. 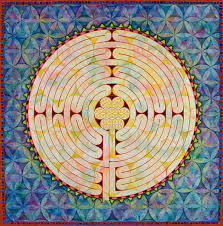 While walking to and in each labyrinth, we will engage with each of the seven chakras. As we walk, we can ask for powerful guidance and healing for our community, the planet, and for ourselves, surrender to the path and its wisdom, and know that it will take us to the center, and will also bring us back out into the world again. In turn, the labyrinths, and the sacred walking in between, will powerfully support us to move and walk in love and in turn, to leave footprints of light that will be a healing, uplifting and inspirational process for both the walker and the planet. I am offering two different times for this Sacred Walk, not only for your choice and convenience, but also to align with the energies of the moon, and so that we can two different directions of the chakra system. You are invited to join us for both walks, for one of the walks, or for any part of either walk. Sunday, October 6th, 9am to 3pm. We will walk from the Root Chakra to the Crown Chakra. The timing of this walk coincides with the Dark Moon energy on October 4th, and will use the energy of the new moon to clear out the energy of trauma of the flooding from our collective and personal bodies, so that we can simultaneously step into a powerful and clear vision and align the new energies brought in by the flood. Saturday, October 19th, 9am to 3pm. We will walk from the Crown Chakra to the Root Chakra. The timing of this walk coincides with the Full moon energy of October 18th, and will use its potent energy to bring in gratitude and light and bring forth the visions we stepped into on the first walk. Walking to seven labyrinths located around the city near many of the bike and foot paths. Carpooling following our walks will be arranged prior to each walks. You will receive notice of the starting location when you register for the walk. DONATION of $10 - $100 which will go to Foothills Flood Relief Fund, created by the Foothills United Way and 100% of the donations go directly to flood victims. To donate, please click on the Donate button above or below. Contact me via email and let me know that you have donated.